Rain or Shine, THE JUNK DR can remove or haul just about anything and provides a variety of junk removal services through out the greater Charlotte area. 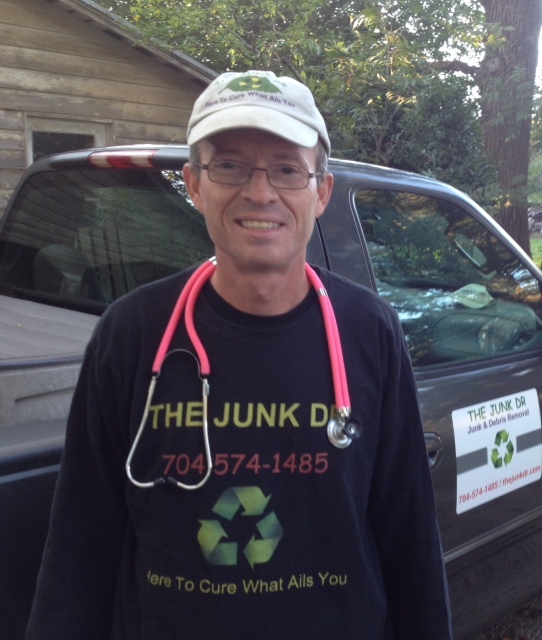 I make house calls to Home Owners, Tenants, Real Estate Agents, Property Managers, Contractors, Investors, Business Owners, etc…..Although there are limitations to what he can do, THE JUNK DR will always do his best to find a solution for your junk and debris removal needs. So why deal with the headache when THE JUNK DR is Here To Cure What Ails You and just a phone call away. Call now for details……704-574-1485.